Like most buyers, you may need financing to get the vehicle you want. What you don’t need is a long drawn-out hassle to get it. Our user-friendly on-line credit-application process takes you from start to finish. It requires just a few a minutes of your time and a few personal details which we do not share. It’s really that easy! Get started today! Our finance experts are here to guide you through the financing process and help you get into your new vehicle. 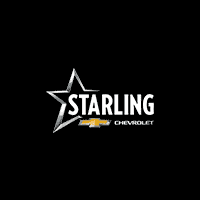 Contact Starling Chevrolet’s finance team today or if you’re ready to start the financing process, you can fill out our secure finance application online. Every part of the car buying process should be simple. That includes determining your car payment which is just as easy our pre-approval process thanks to our on-line payment calculator. Just choose your vehicle and we’ll tell you what you can expect to pay each month. Whatever your credit situation and budget, we’ve got a car for you at a payment you can afford.